Culture | Golden Gate. 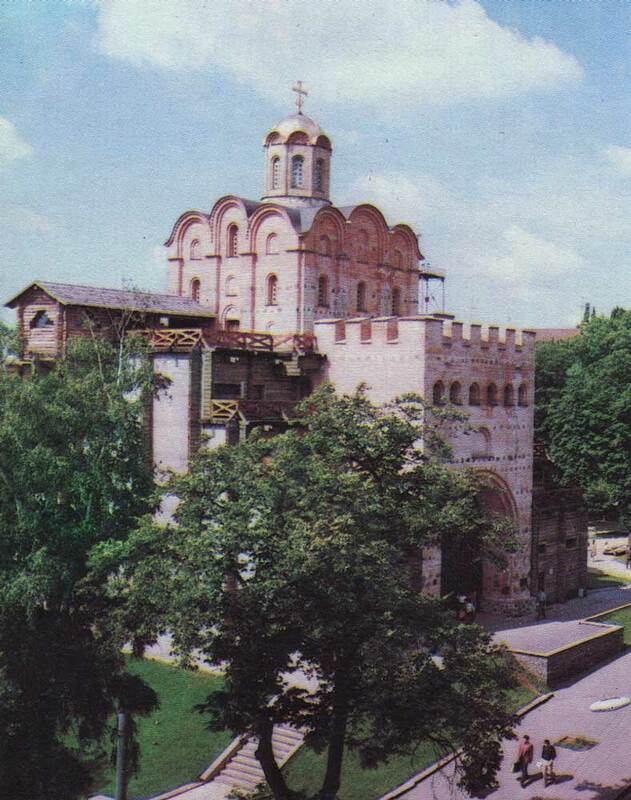 The outstanding architectural monument of the fortification art and history of Kievan Rus’. Reconstruction in 1982. Authors: EI Lopuschinskaya, S. Vysotsky, NV Kholostenko. 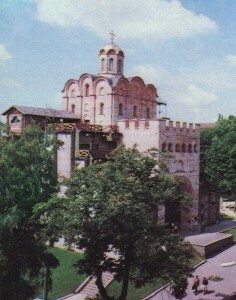 In 1983, trehyaruskom pavilion erected on the Golden Gate, is a museum of “Golden Gate”. Stained glass depicting the Kiev Prince Yaroslav the Wise. The State Historical Museum of Ukraine.“Diorama of ancient Kiev X-XIII centuries.” (From left to right: Hem, Starokievskaya Mountain, Castle Hill (front pla ns), Potters Kozhumyaki, Kopyrev end). Artist AV Kazan. The State Historical Museum of Ukraine.